The Republican-controlled Senate has failed by five votes to override President Barack Obama’s veto of legislation approving the Keystone XL oil sands pipeline. The override had required a two-thirds majority. The failed vote means the controversial project will have to wait for permission or denial from the Obama administration, and the House of Representatives will no longer vote on an override. 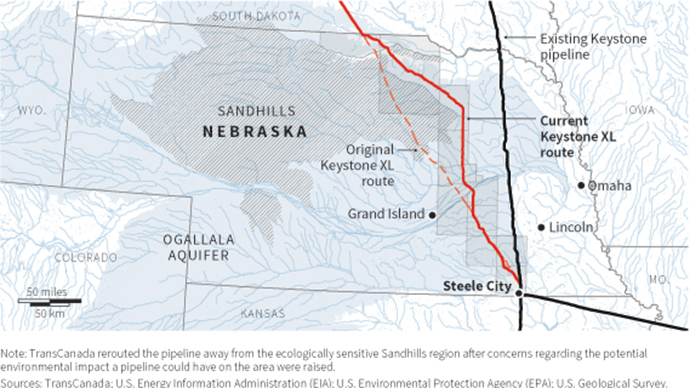 Keystone supporters, however, said they would continue to fight for the pipeline. Sen. John Hoeven (R-N.D.), who authored the bill and represents one of the states that would be affected by the pipeline, said that Republicans would try and attach it to legislation such as a long-term transportation funding bill or an energy package. “If we don’t win the battle today, we will win the war, because we will attach it to another piece of legislation,” Hoeven told the Hill. Meanwhile, Sen. Ed Markey (D-Mass.) said that Republicans are “politically delusional” if they think attaching the Keystone legislation to a transportation bill will work. Obama vetoed the bill in February, saying it had not passed a final State Department assessment on whether the project would benefit the US. The State Department assessment is due in the coming weeks or months and Obama is expected to make a final decision on permitting for the project. The TransCanada Corp pipeline project has been pending for six years and, if approved, would carry 830,000 barrels of crude from Canada’s tar sands to Nebraska and then across the US to refineries and ports along the US Gulf Coast. The Obama administration has questioned those arguments, as the majority of the jobs would exist only during the construction phase, which is estimated to last two years. The White House also has concerns about greenhouse gas emissions, a view shared by environmental groups who have lobbied for several years against the project.